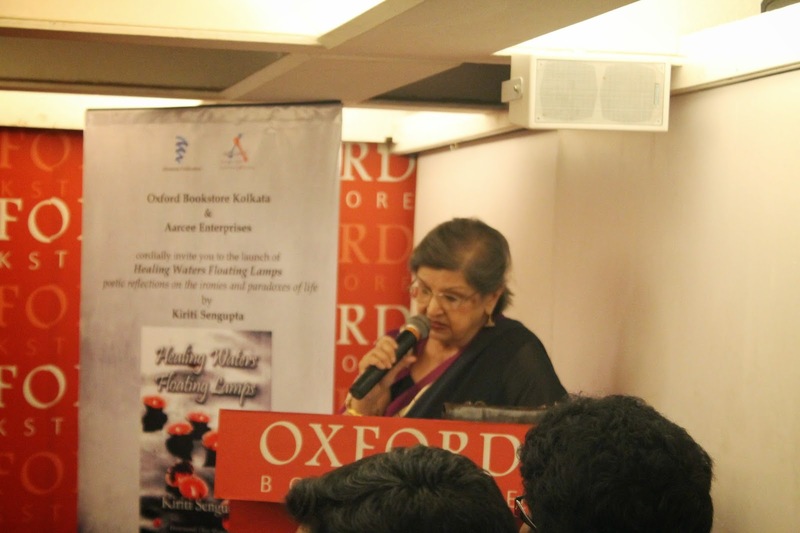 The Floating Lamps of poetry … Dr. Kiriti Sengupta's journey of Healing Waters Floating Lamps, his poetry collection unveiling at Oxford Bookstore Kolkata.......An evening of inspirations and poetic aspirations. 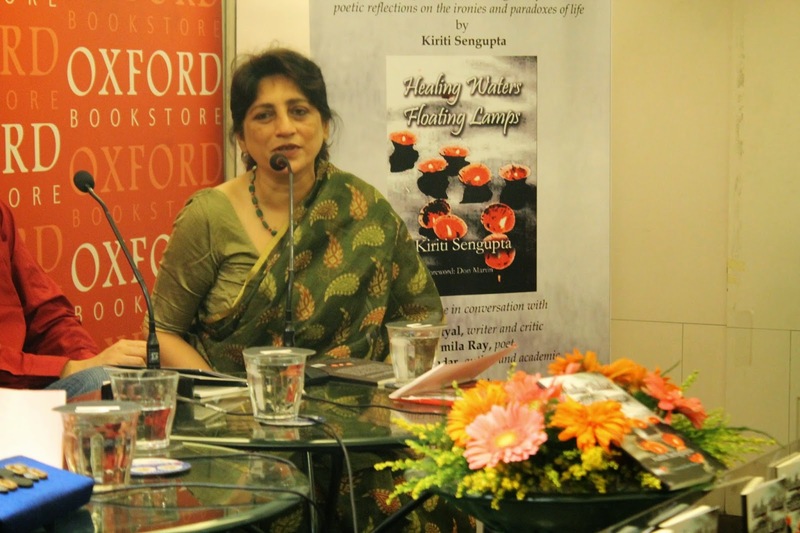 Being Bookworms was delighted to attend Kiriti Sengupta's poetry book launch on the 24th of April  in Oxford Bookstore Kolkata. 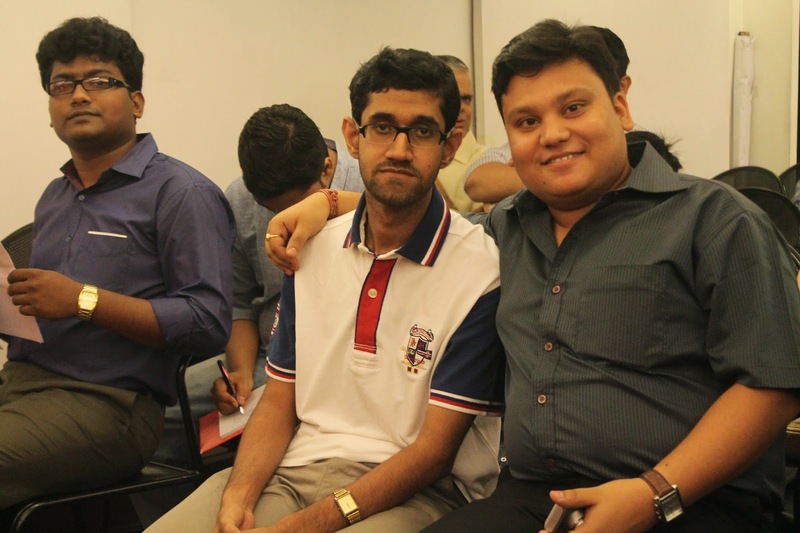 The poet,critic,author, and translator — a man of many talents was relaxed and moving in a poetic world when we greeted him during his launch. 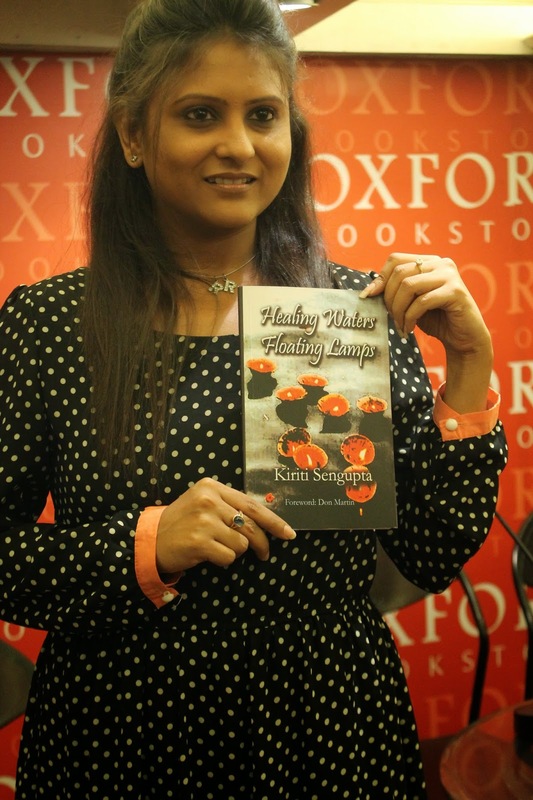 We feel that a poet is the thread which connects both worlds together and gives that hope to mankind that in the rat race, there are bards who are creating history and Kiriti Sengupta is one of them who is creating that path and leaving a strong message for us to learn from. His books My Glass of Wine,a novelette based on autobiographic poetry, and The Reverse Tree,a non-fictional memoir have been bestsellers, and after co-editing three anthologies, writing for many literary journals, our talented poet finds time for poetry and inspirational verses that arise from our experiences in life. 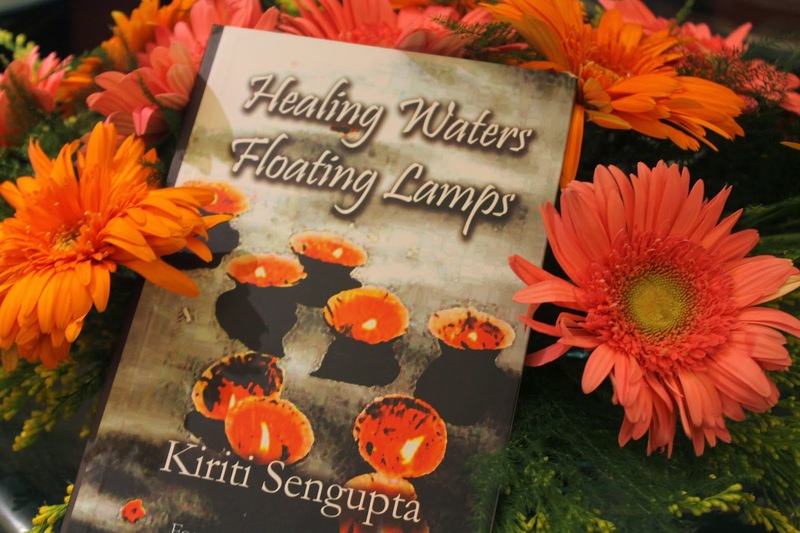 Kiriti's Healing Waters Floating Lamps is one such poetry book which is inspired by his experiences. 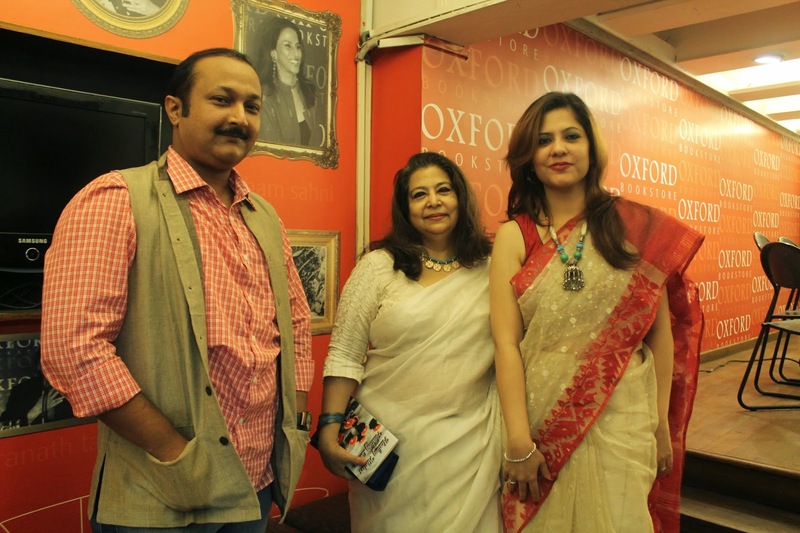 The launch hosted by Oxford Bookstore and Aarcee Enterprises attracted applauses and good wishes as Anjum Katyal, writer and critic, Sharmila Ray, poet and essayist, and Saikat Majumdar, author and academician unveiled the book with Saira Shah Halim, a corporate trainer and communication consultant who compered the launch and announced about the panel discussion to be followed soon after. 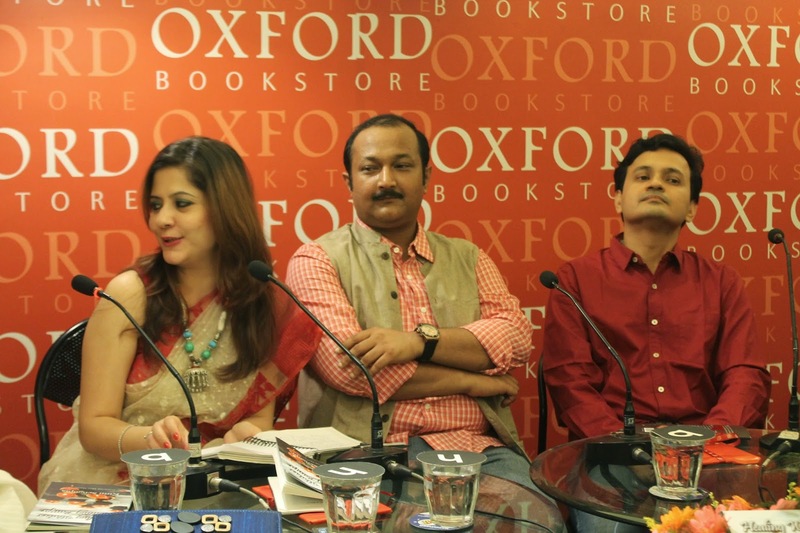 Maina Bhagat, Director of Oxford Bookstore welcomes the guests,poet lovers and the panelists to Oxford bookstore as they host Kiriti's book launch as the evening promised the gathering a journey into the captivating depth of poetry. 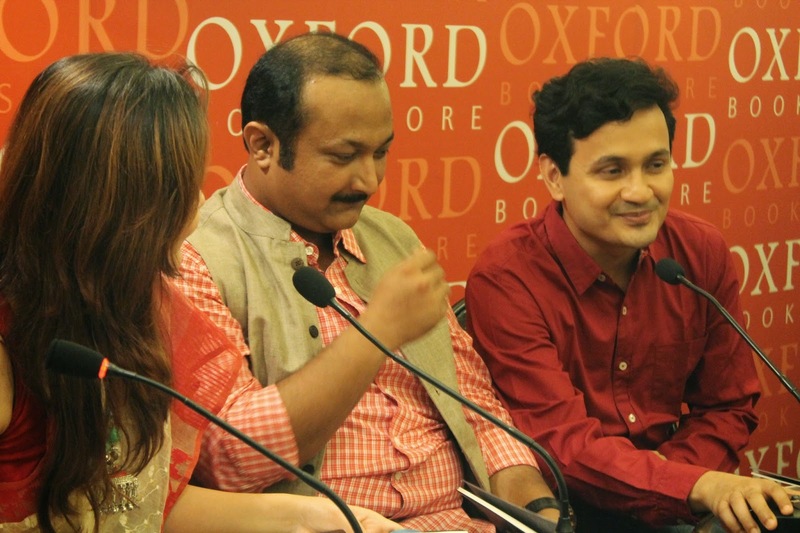 The journey of Oxford has been a beautiful one and their association with authors and poets a milestone in literary circle. 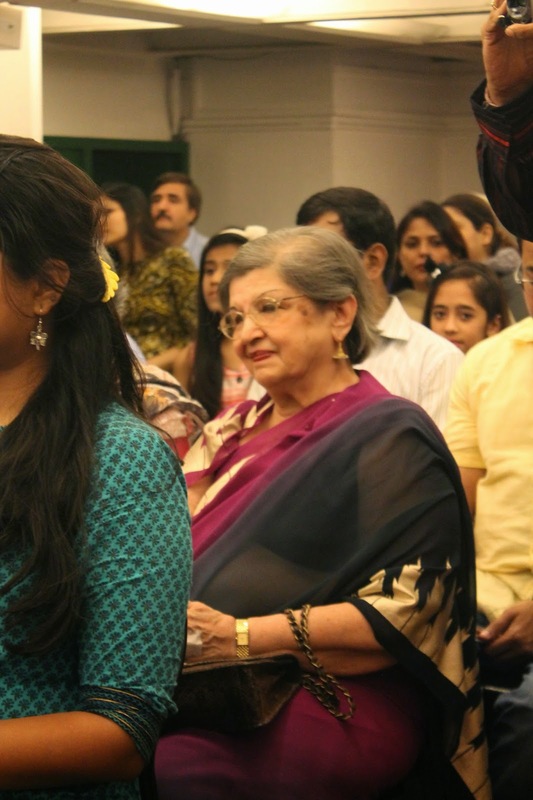 she wished Kiriti the best and showed her enthusiasm and love for poetry and poets. 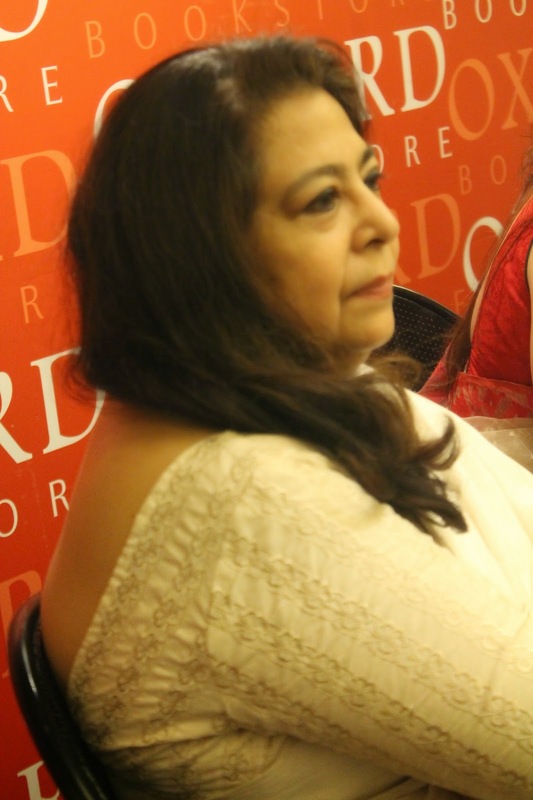 Saira opened the panel discussion by asking a question which we all felt was happening presently that poetry was coming back once again in our lives. 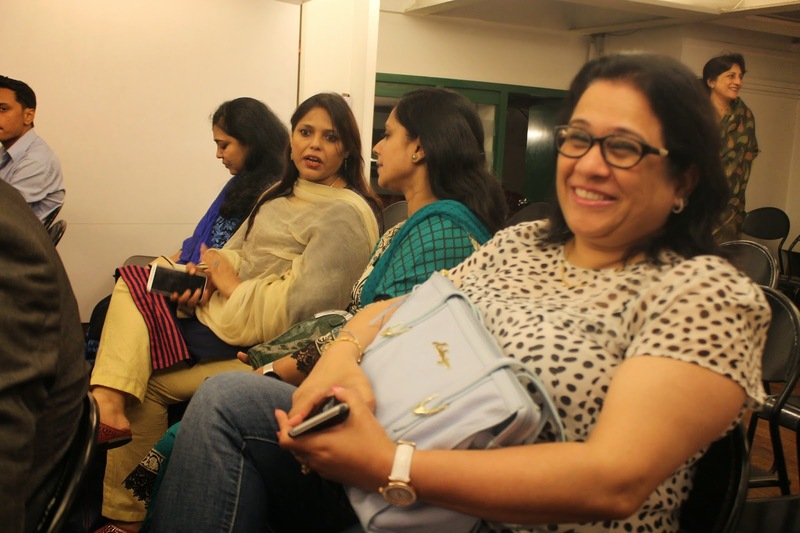 According to Anjum Katyal who has been involved with theater and the publishing industry as she was the Editor-in-Chief for Seagull Publishing House for more than twenty years, poetry had never left. 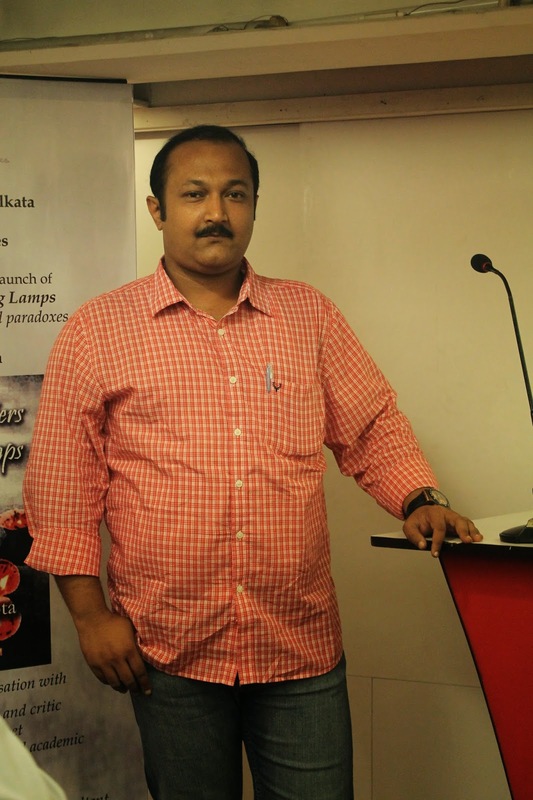 Saikat Majumdar [who teaches world literature at Stanford University, U.S.A.] had different perspectives towards the deeper understandings of poetry. 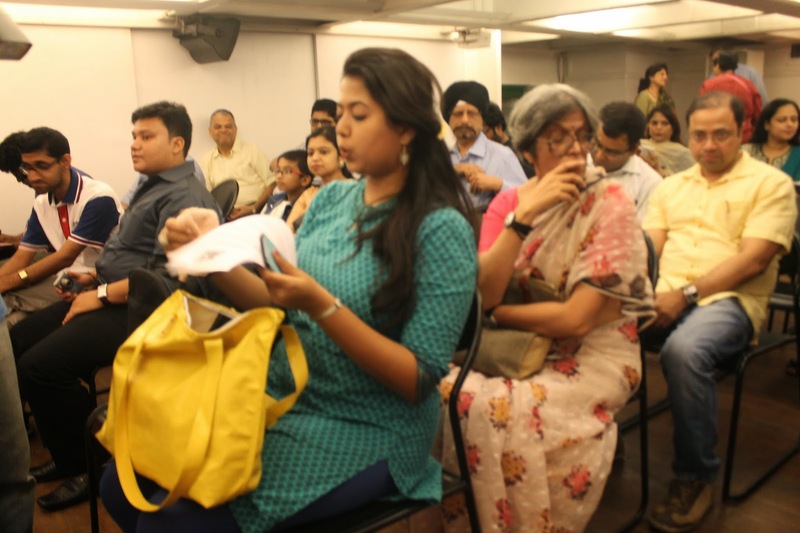 Kiriti while reading out Indian Matrimony got a reply that the poem has similar kinds of events that the audience could identify with. the audience clapped listening to the hidden depth in the lines. 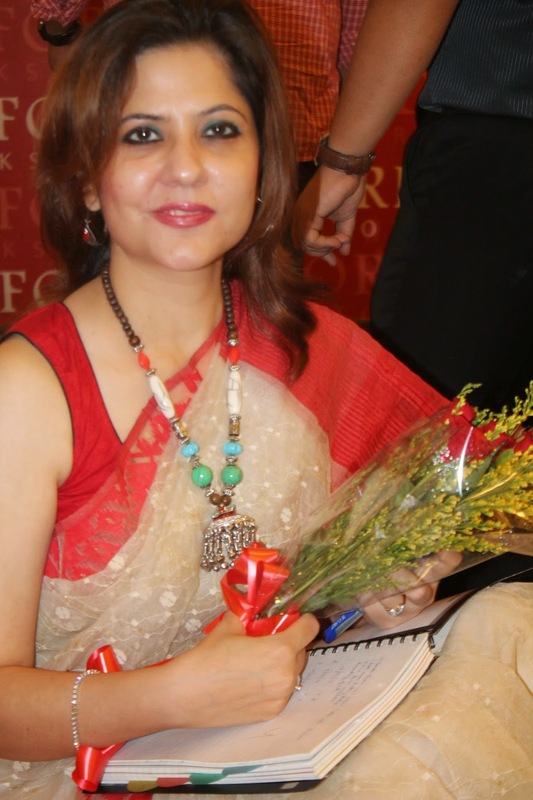 Poetry has that quality which can say things invisible on the surface of thoughts with abstract and rhythmic flow. 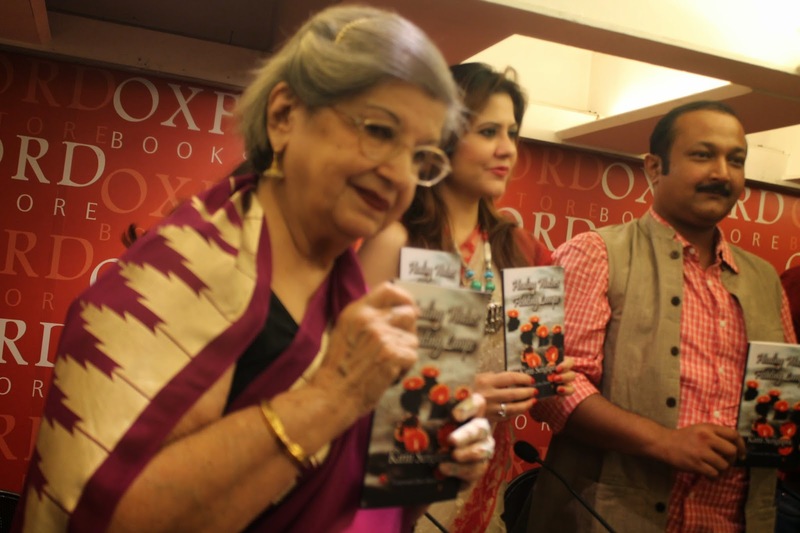 On the other hand Ruchhita Kazaria, the brains behind Aarcee Enterprises had chosen this book launch because she had felt a soul connect to it; the poem Evening Varanasi was what made her choose as it has a spiritual and soulful feel to it while she read out some of her favorite lines form the poem and congratulated Kiriti on such a wonderful book. 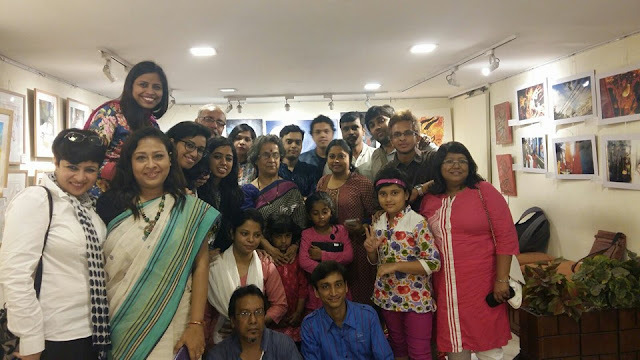 Sengupta’s wife Bhaswati, who has been his pillar and strength, has seen his poetry blooming from a bud to a flower. She wants him to write as he loves it and has to say things unknown. 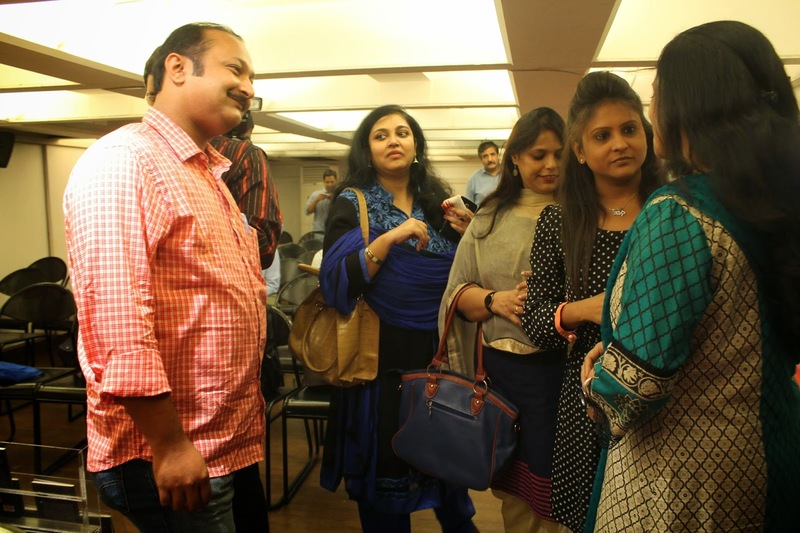 With the curtains coming down on a wonderful enlightening evening with such eminent poets discussing poetry and Healing Waters Floating Lamps we bid a due wishing Kiriti the best and inspiring him to write more. 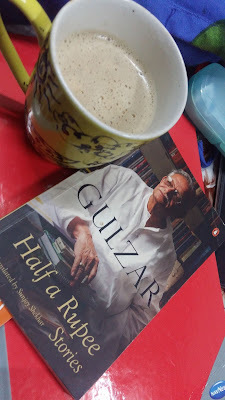 If you have really enjoyed reading about this amazing book we would urge you to buy it and get inspired.The book can be ordered on Flipkart and if you all are poetry lovers then you could review this wonderful book and make this talented poet feel special with your love. 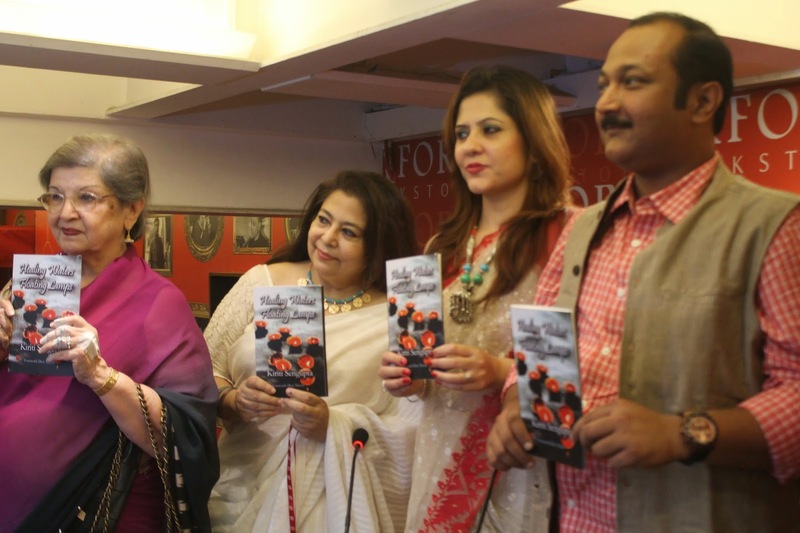 We hope that our constant endevours of bringing poetry and prose in the forefront by introducing talented poets and authors form being bookworms platform you all, the readers are having a wonderful time exploring the joy of reading and sharing the love of books. Keep reading, Keep smiling....until we return with another wonderful tale of the bards.